Before your tornado survivor starts easing down that road, be sure she’s got the proper foot wear. 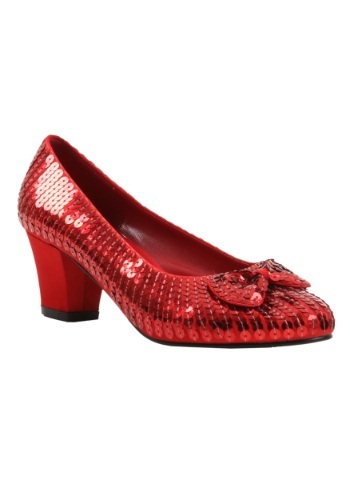 If she’s not into yellow bricks,she can wear these Child Red Sequin Shoes on her way to see grandma! Just be sure to avoid wolves, they’re just as dangerous as witches!. She’ll be off to see the wizard or into the woods to grandmother’s house in a pair of Child Red Sequin Shoes. It’s the classic way to accessorize her costume and a glamours way to take on her latest adventure!